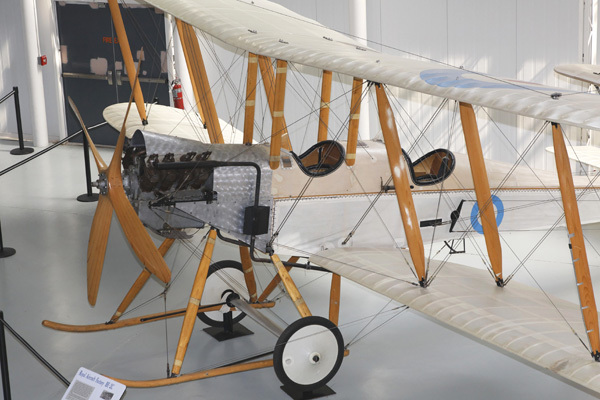 The Blériot Experimental BE-2C was Britain’s entry fighter in 1914, the beginning of WW I. The RAF aircraft was innovative with true ailerons, as opposed to the Wright’s wing warping philosophy, and staggered wings. The aircraft was stable and easy to fly — precisely wrong for a fighter as things turned out since stability results in slow turns. The German Air Force soon deployed fighters as we’ve come to know them but the BE-2C soldiered on in reconnaissance and light bombing roles where the rear gun position was more than useful — as well as interception duty against dirigibles over Great Britain. 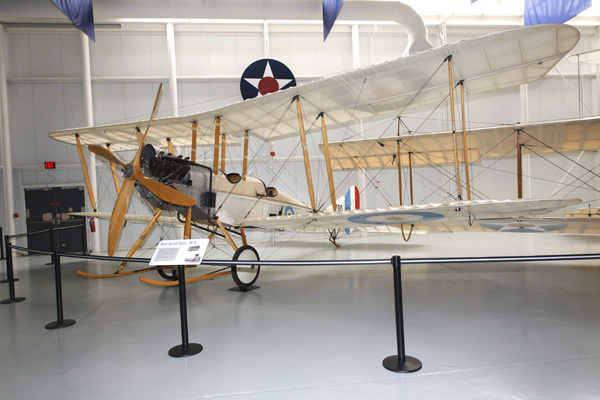 The BE-2C pictured in this post is in the U.S. Army Aviation Museum (paste the name into the search window to find more about the museum and other exhibits there) and is a replica constructed by Mr. Gerold Burr of Nova Scotia in 1980. I can’t even imagine the craftsmanship it took to make that propeller! ….DEFINITELY a work of ART! A beautiful ship overall too. Interesting too, the “ADVANTAGES” and “DISADVANTAGES” that war produces….. Cannot agree with you more. Sadly, the B.E. 2c betrayed its origins as an artillery observation and photographic reconn. machine. Far too stable to fend off attacks by opposing fighters they were lost in huge numbers. To make matters worse, the observer sat over the centre of gravity in the FRONT seat, making it almost impossible for him to wield a Lewis gun effectively. With complete air superiority the B.E. 2 could survive – just! 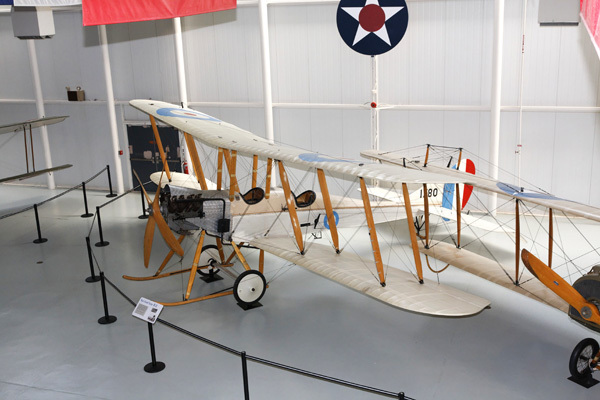 There were successful fighter versions, but these were flown as single-seaters, with a primitive almost Schräge Musik – like arrange of a Lewis gun firing up at an oblique angle. These were used against Zeppelins by Home Defence squadrons. Indeed, Captain William Leefe Robinson won a Victoria Cross in B.E.2c when he shot down a German airship in September, 1916! Yes, I see what you mean with the gunner forward he would have had very little arc of fire. Of course, I assumed the gun position was in the rear but I now see the elevator control linkage on the fuselage is outside the rear cockpit. One has to ask what they were thinking! The Schräge Musik idea might even be taken on stage further, in that all S.E.5 ‘scouts’ had a fixed Vickers firing through the propeller, and a Lewis gun above the upper wing. This gun could be brought down on a curve rail (called a Foster mounting) to change the 97-round drum OR fire upward at an angle into the belly of an opponent! 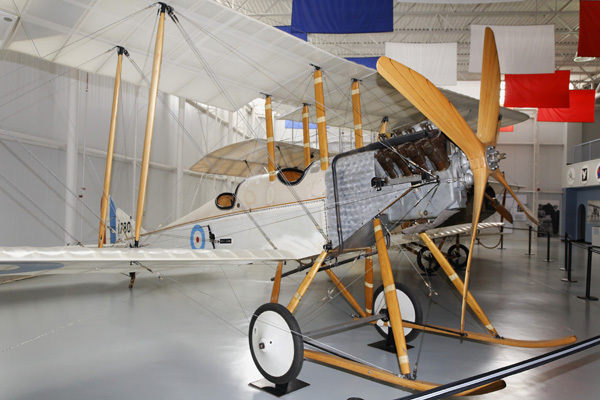 Naval versions of the Camel (the 2F.1) also had an overwing version of the Lewis mounting, as did Camels modified as nightfighters (both Vickers removed, and twin Lewis over the upper wing). Hey very nice web site!! Guy .. Beautiful .